Everything about Vincent D’Onofrio’s performance as Wilson Fisk in the first season of Daredevil was absolutely perfect, and the man established himself as one of the best villains in the Marvel Cinematic Universe. If anything was missing from his performance, it was that he never wore his iconic white suit he is famous for in the comics – but there’s actually a very good reason for that. 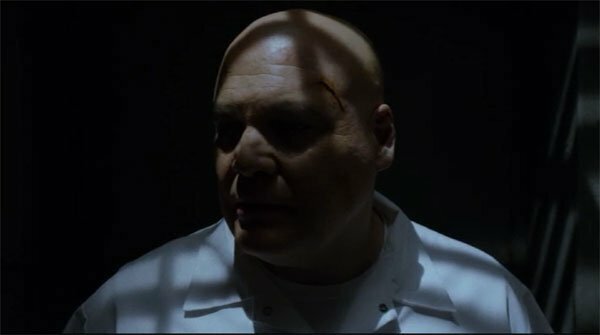 As D’Onofrio recently explained it to me, the white suit is the costume of the Kingpin, and in Daredevil Season 1 the character is not quite at that point. Because he’s not Kingpin yet. It’s an origin story, so he’s working towards becoming Kingpin - or the world is working him towards becoming Kingpin, I should say. I think that everyone thinks of the iconic character Kingpin, like you said, in the white suit and everything, but he does, if you look at the [Brian Michael] Bendis stuff and the [Frank] Miller stuff, the David Mack drawings, and [Bill] Sienkiewicz, these guys always drew him wearing all kinds of clothes, you know? When he was just Wilson Fisk and not called Kingpin yet - so that’s the idea behind that. It should be noted that while the first season of Daredevil didn’t feature Kingpin’s classic get-up, there were references to it. For example, Vanessa (Ayelet Zurer) talks about a man wearing a white suit and a cravat trying to seduce her, and even later in the season starts steering Wilson away from black suits and more towards grey tones. And let’s not forget that the final shot of the Kingpin has him wearing a white prison uniform. Vincent D’Onofrio sadly could neither confirm or deny if Wilson Fisk will be back in Daredevil Season 2 – simply telling me that “the second season is going to be really amazing,” but every fan of the show is certainly hoping that he does. Production is scheduled to start up later this year, and the new episodes will be on Netflix some time in 2016.